If you happen to love all things sweet, then this game might appeal to you. 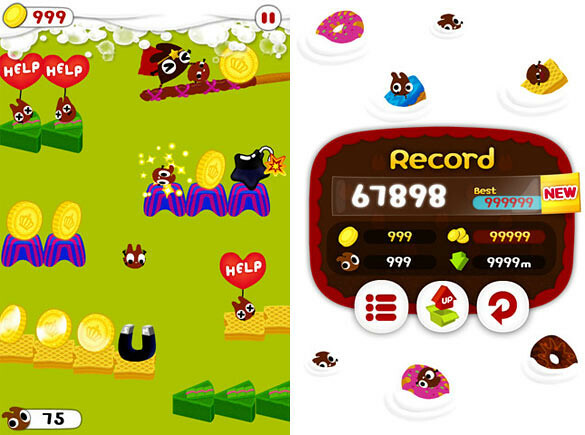 Well actually even if you are not, Chocohero is also a fun game to play and fill up your time. It’s actually a fun game with colourful graphics, fun music and fast paced ‘falling action’. 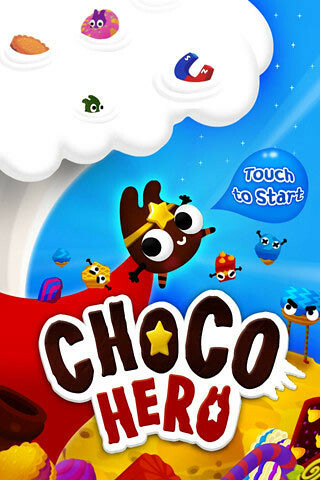 Stop, drop, and roll right into an action-packed world of luscious sweets in this cute, free-falling thrillride: Chocohero! Smoresdom, the land of treats and chocolate, is in danger! Cakems, guards of this sweet kingdom, hold the adorable, innocent Chocobits as prisoners. Enter Chipster, the wobbly chocolate hero! He rolls right in to help his Chocobit friends escape. Simply tilt your device left and right to guide Chipster as he rolls down to save his friends. Bump the Cakems to crumble them and free the Chocobits! Help Chipster’s friends escape before it’s too late. Boosts and tornado skills will help to crush your enemies and freeze time to stop the game-ending quickmilk pouring in from above. Free all his friends and save Smoresdom!